Students these days use their Android Smartphones all the time to chat with friends and play games. Not only for chatting and playing games, we can use them to help us study better and more efficiently. Students have also started to use Android smartphones for studies these days as there are a lot of quality apps useful for studies available on the Google Play Store. One such useful education app is Entri Android app. Use Entri Android App to Practice for EAMCET, KEAM, KCET and Comedk from your home. You can get a better rank. Entri is a very good and nicely designed android app useful to help students effectively prepare for various state entrance exams after 12th class in India like Engineering Agricultural and Medical Common Entrance Test (EAMCET), Karnataka Common Entrance Test (KCET), Kerala Engineering Agriculture Medical (KEAM), All India Pre-Medical Test (AIPMT), Consortium of Medical, Engineering and Dental Colleges of Karnataka (ComedK), Joint Entrance Examination (JEE) and other entrance exams after 12th. A student can prepare on the go with Entri app to make significant progress in their weak chapters and score good marks in all entrance exams after 12th class in India. 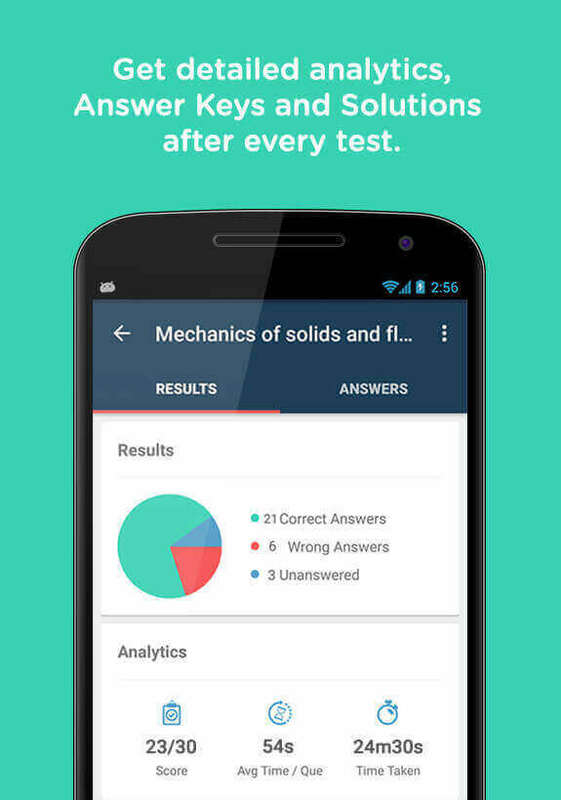 Entri Android app is specially designed for students appearing for various entrance exams after 12th class in India and has more than 50,000 questions, study cards with helpful shortcuts and formulas, video explanations and solutions for subjects like Mathematics, Physics, Chemistry, and Biology. Each of these subjects has been divided into different chapters and a student can pick any chapter and start practicing by taking unlimited tests. As you take more tests, Entri app adapts to your personal strengths and weaknesses and starts giving you questions that will strengthen your weak areas. You also get access to detailed reports, answer keys and solutions after each test using which you can improve considerably. Entri Android app five star rating system ensures that you become proficient in any chapter by just taking more tests in that chapter. As you take more tests, identifying your weak areas it gives you more questions from those weak areas so that you can improve in them. The more you attempt questions from your weak areas you naturally make progress. 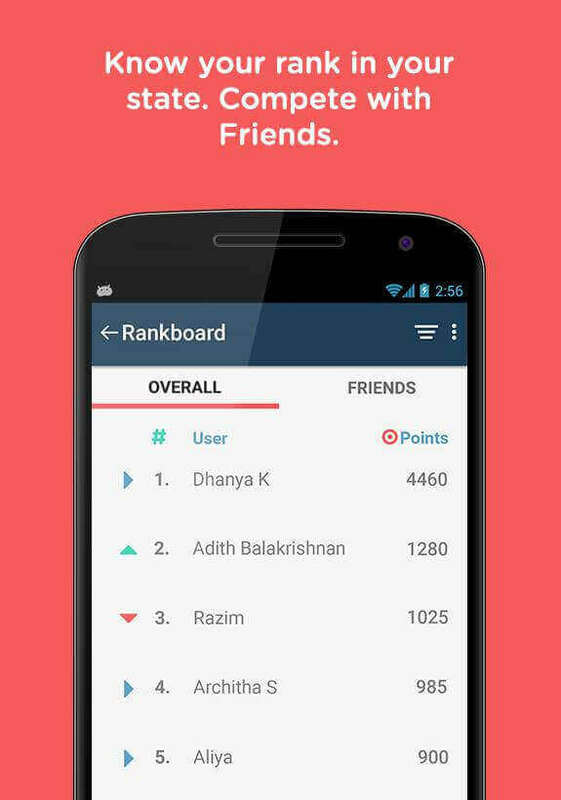 Entri app also facilitates you to compete with other students in your state and friends on the rankboard. Rankboard shows where you stand in your state. You can add friends to your rankboard and check how you are performing compared to them. I’m sure students who use Entri Android app to prepare for entrance exams will come back daily to use this app. 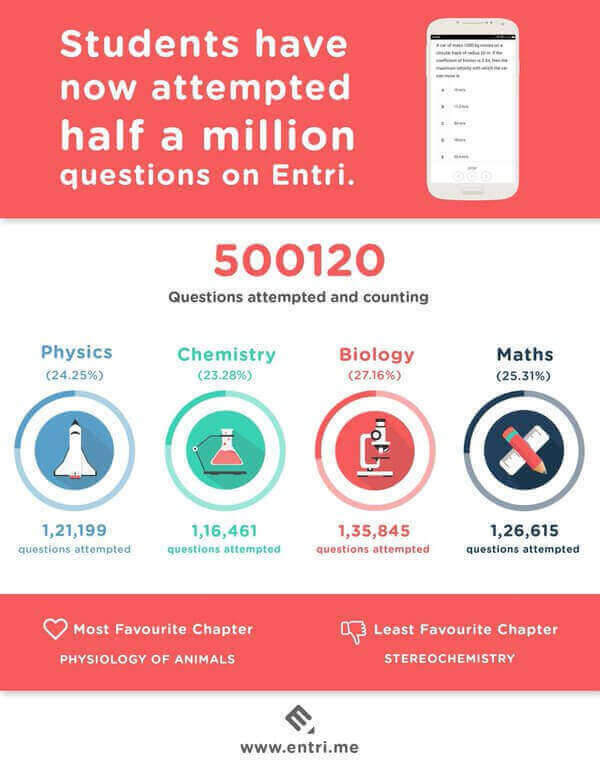 More than 10,000 students across India and the Middle East are using Entri app to prepare for their entrance exams. Entri app requires Android 4.0 and up operating system. You can download the Entri Android app Google Play or visit entri.app from your computer. What an awesome way to explain this-now I know Entri Android App is designed for students appearing for various entrance exams after 12th class in India!